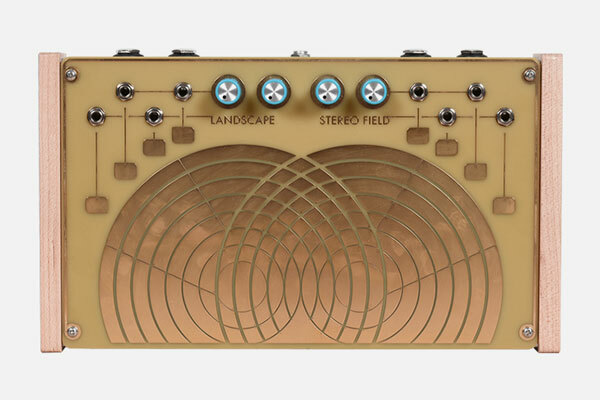 Stereo Fields is an experimental synthesizer, effects unit and CV controller. The machine comes equipped with two signal generators respectively processors, which are “playable” via touch plates. Its sound varies depending on the finger’s position. The settings of the level potentiometers influence the outcome as well. Additionally, several parts of the circuits are normalized. Strictly speaking, the instrument contains two stereo synthesizers respectively effect processors, which interact with each other. Patch sockets allow users to connect the machine with other pieces of gear. The instrument's results range from simple waveforms to filter, feedback, wave folding, formant and FM sounds. Furthermore, used as a CV generator / processor, the machine is equally versatile.